By Will Jennings, Professor of Political Science and Public Policy at University of Southampton (Academia.edu, Twitter). You can read more posts by Will Jennings here. FIFA is in crisis. Nine current or former senior officials have been charged by US prosecutors over bribes totalling more than US$150m over 24 years. The allegations have shocked the football world. The story so far has some parallels with the scandal that engulfed the Olympics’ governing body, the IOC, in the late 1990s. The way the IOC dealt with that crisis might offer some lessons for how FIFA should respond. In 1998, revelations concerning the bidding process for the Salt Lake City 2002 Winter Olympics led to investigations and a series of disclosures about bid-related malfeasance at other Olympic games. Officials from the Salt Lake bid committee were indicted on charges of conspiracy to commit bribery, fraud and racketeering. It turned out that officials from applicant cities had been lavishing IOC members and their families with payments, gifts and luxurious hospitality, as well as scholarships, with the aim of buying their votes. The revelations were highly damaging for the IOC, clashing as they did with the idealistic rhetoric that the Olympic movement had sought to harness. Looking back, it is arguable that the IOC’s response to the crisis salvaged its reputation and led to important reforms aimed at the long-term sustainability of the event. This is in deep contrast to FIFA’s reaction to its first corruption scandal in 2011 – which simply allowed a serious governance problem to fester. The IOC’s response to its bribery scandal was an effective approach to managing reputational risk: Apologise. Investigate. Punish. Reflect. Reform. In the immediate aftermath of the revelations, numerous senior figures in the IOC expressed regret and contrition, soon followed by internal investigations into wrongdoing. As a result of these probes, a substantial number of IOC members resigned or were expelled, while an extensive programme of institutional reflection and reform was quickly instigated through the creation of the IOC 2000 Commission, which included external members. Out of this review came important reforms, including the introduction of a code of ethics and a ban on IOC members who were not serving on its Evaluation Commission from visiting candidate cities. 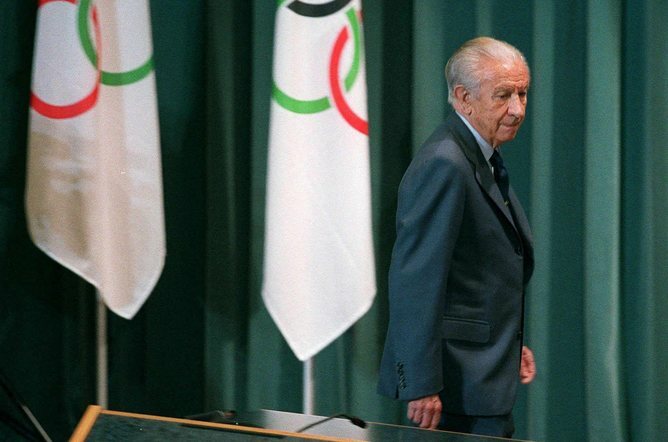 IOC president at the time of the scandal, Juan Antonio Samaranch. Questions remain, however, whether FIFA will be able to learn from these lessons to dig itself out of a very big hole. For one thing, while the Olympic bribery scandal was undoubtedly damaging to the image of the event and to the IOC as its governing body, the allegations largely related to members of the Olympic movement who were not on its executive board. The US Department of Justice charges point to a much more systematic pattern of kickbacks and patronage that, if proven, will be less easy to blame on a few bad apples. Indeed, FIFA’s defiant response to the bribery accusations levelled at it in 2011 will make it difficult to claim it had missed the warning signs. While FIFA might take the lesson that contrition and meaningful reform are both important steps in starting to salvage the wreckage of the governance of world football, this may not be enough. As it stands, FIFA and its leadership seems irreparably damaged in terms of its credibility and legitimacy. This before criminal proceedings threaten a lengthy period of organisational fire-fighting and paralysis. By Gerry Stoker, Professor of Governance at University of Southampton and Fellow and Centenary Professor in the Institute for Governance and Policy Analysis at University of Canberra (Twitter). You can read more posts by Gerry Stoker here. There are some who hold the view that the job of political scientists begins and ends with their description and analysis of politics. 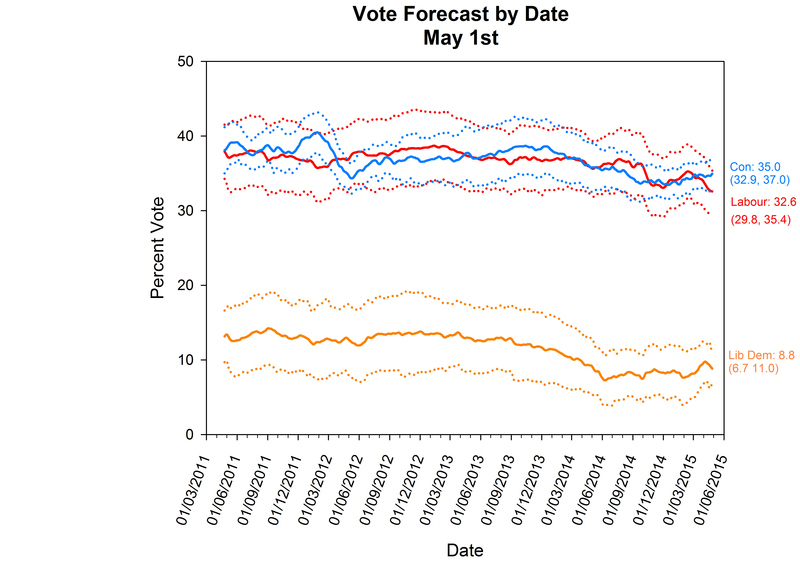 Many political scientists view the connection between the discipline and the world of politics as appropriately detached: they are neutral, observers of the political world. Yet my position is that a discipline that studied politics but had nothing to say to those involved in politics or who might be involved would be failing. Political science needs to devote more thought and effort to the challenges involved in achieving relevance for its work. Political science should as part of its vocation seek not to pursue an agenda driven by its own theories or methods as if it was in a separate world , sealed off from the concern of its fellow citizens. Rather the problems of the political world as perceived, or at least as can be understood, by our fellow citizens should set the bulk of our agenda. We should be asking questions to which others outside the profession want to know the answer. And do so with a commitment to rigour in methods of study and analysis. A focus of relevance mean does not demand a downplaying of developing the best means of investigating politics. Indeed methodological innovation is, if anything, likely to be simulated rather than hindered by such dealing with the intractable and complex challenges thrown up by ‘real world’ politics. There is nothing as practical as good theory and theory can find no tougher test than achieving effectiveness in the world of practice. Too often in the past three or four decades political science has constructed for itself a way of working that appears to give little or no credence to the demands of relevance. If political science is therefore judged irrelevant by others, most of the blame though not all rests with the profession. Political science will need to act differently and so I offer a new manifesto for relevance below. Celebrate the role of teaching as a means of delivering relevance by encouraging a cadre of critically aware citizens and policymakers. These ideas and the complexities and challenges involved in achieving relevance are explored by a stellar group of experienced political scientists from around the world in a recently published book The Relevance of Political Science.